Renting a vacation villa in Jamaica provides an authentic and personalized vacation experience which you could not get at an hotels or a resorts. Image your own personal staff; not fighting for the attention of the hotel servers or poolside cocktail waiters. No sharing of lounge chairs or pool. Your Personal Staff Awaits! You can relax and unwind in the privacy of your villa and truly experience the real Jamaica. Unfortunately, some people are uncertain about renting a villa and find the villa market daunting. How do I find a villa that will accommodate all members of my family or travel group? How do I know if the villa in question offers top quality service? How do I know if the advertised pictures are authentic? Want to visit Jamaica and stay in a villa? 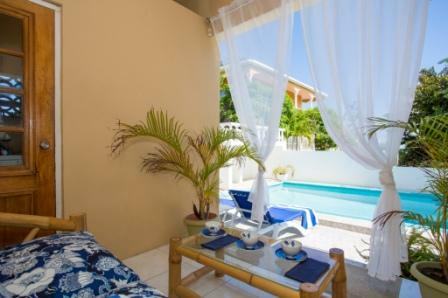 We have accommodation available at our Ocean View Villa in Ocho Rios Jamaica. Contact us for more information on renting a villa in Jamaica.